Is a Weak Message Impacting Your Business? When it feels like your brand is missing the mark, it’s easy to start doubting yourself. Maybe your products or services aren’t as unique as you originally thought. Should you re-evaluate the team you have around you? But they seem so passionate! Suddenly, panic starts to set in, and before you know it you’re all sweaty palms and sleepless nights. What is the message you want would-be buyers to receive about your product or service? Are you communicating it? What should they gain from checking out your website? Are you making sure they gain it through your content? Can they clearly understand what working with you would be like? Do you openly outline how to hire you? If you can’t quite put these answers into words, then this may be the root cause of the issue. 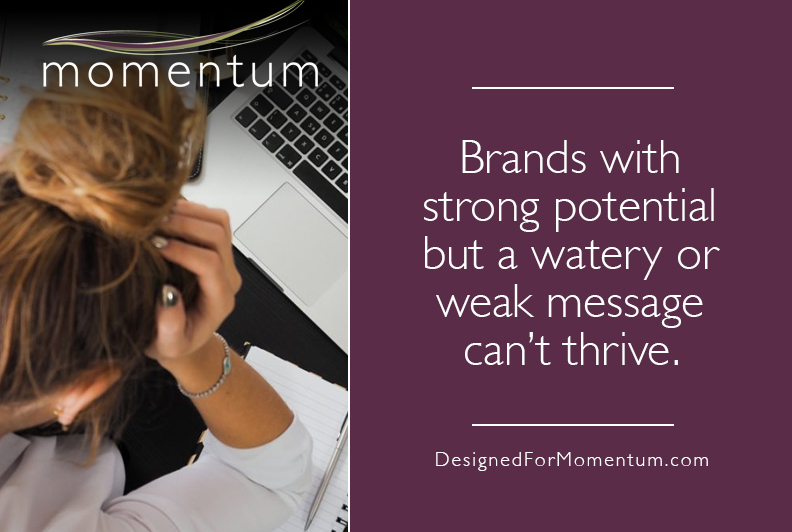 It’s surprisingly common for brands with strong potential to find that a watery or weak message is holding them back. Create a profile of your target client in your mind: What problems are they facing? Where do they live? What do they do for work and for fun? This allows you to more effectively identify how to appeal to potential customers. Remember that your target client doesn’t have to fall into a specific demographic. It could be an interest, a goal, or something they generally all struggle with. Make it easy for people to stumble upon you when they’re searching for someone in your industry. If you’re operating under a general title like Wellness Coach, dig deeper. Who are you helping? Why would someone come see you? What services do you offer? What problem do you solve? How do you stand out from others in your field? Make it a breeze for someone to learn all about your brand. Speaking of your web presence, as a business coach and a graphic designer, I can tell you that a weak message doesn’t just hurt your ability to land customers. It also waters down your marketing. Solicit guidance from loyal customers: People who have worked with you in the past did so for a reason. Don’t be afraid to ask them what drew them to your business, and what would encourage them to make a repeat purchase. Find the similarities in their responses. Identify your core values: What is most important to you as you serve your clients? These driving principles separate you from your competition. They also enable you to specifically identify the type of client you’re seeking. Make sure you know them well. Analyze your audience: Chances are that you have data on the kind of people you’ve sold to before. Take some time to think about who they are and what they’re looking for. Use these details to shape your message. Speak to the customer about what you know they want and need – even if you haven’t had any customers yet! If you suspect that a weak message is limiting your brand, let’s change that this year. As both a business coach and a graphic designer, I’m here to help you strengthen your message, and then communicate it clearly. If you’re looking for more details on what to do if a weak message is holding you back, I’ve got you covered. I have a full lesson in the Designed for Momentum Program on Choosing Your Audience that can help you narrow your focus and gain direction. Take a look, and get started on clarifying exactly what you want your brand to convey to potential customers. 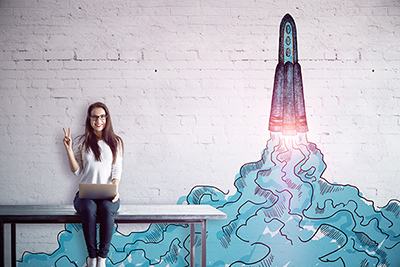 Join Katie's newsletter list to get more business building advice and action steps!